Climber Lynn Hill joins three of Boulder’s best endurance athletes from the past at the 2015 Boulder Sports Hall of Fame induction ceremony, set for Sept. 26 at the Avalon Ballroom. Cyclist Dale Stetina, triathlete Tim DeBoom, and marathoner Benji Durden round out the class. 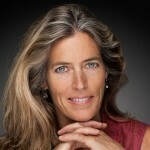 Hill, 54, was called “among the greatest rock climbers of all time” by author Jon Krakauer, based on a long career that began when she was 14 and included the first free ascent of “The Nose” on El Capitan in California’s Yosemite Valley. She is “one of the most significant figures in sport, in all of history,” said Roger Briggs, author of “Journey to Civilization” and himself a climbing pioneer. 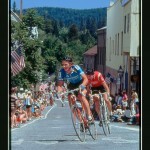 Stetina, 59, is an Olympic cyclist who had more than 200 wins during a long career that included a national road title and two wins in the Coors Classic. Stetina is part of a cycling family, with the racing now carried on by his son, Peter. In 2013, Stetina nearly died after being hit by a car in Left Hand Canyon. He has recovered well enough to resume riding. 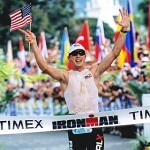 DeBoom, 44, is the last American to win the Ironman Triathlon World Championship. He won in 2000 and 2001, his latter win a stirring victory coming soon after the Sept. 11 attacks that took down the World Trade Center. He placed in the top five three other times; won several other full and half triathlons, and took the bronze medal at the 1999 Pan American Games. Durden, 63, was a top U.S. road racer from 10 kilometers through the marathon in early days of the 1970s-‘80s “Running boom.” His career was capped by making the U.S. Olympic marathon team, which boycotted the Moscow Olympics. 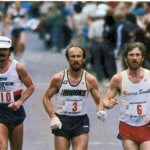 The following year, Durden, a 2:09:57 marathoner, was one of several runners who defied a ban on openly taking prize money when he raced at the Cascade Run-Off 15 K. He was a founding member and official with the Association of Road Race Athletes. You can purchase tickets online with PayPal below or by calling (720) 675-8923 or 303-545-6147. Tickets can be purchased for $20 each which includes two drinks.